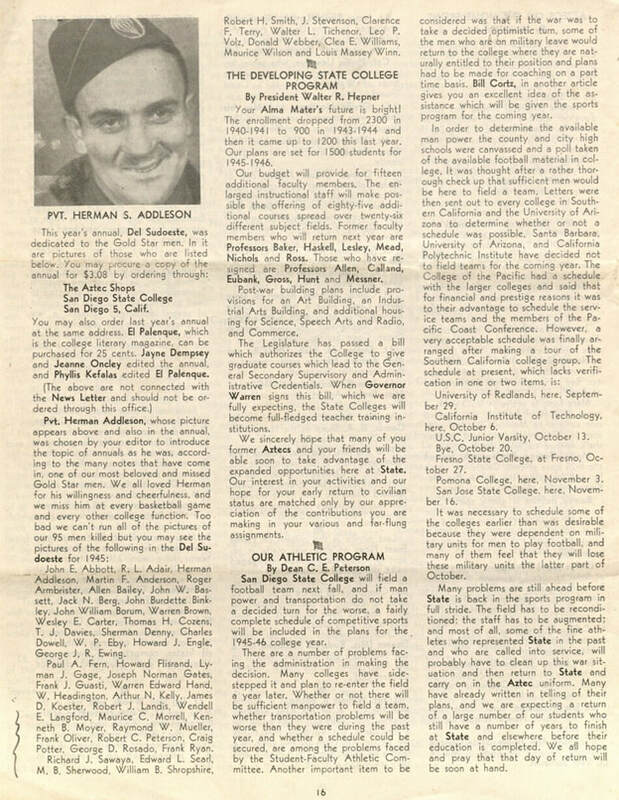 Private Herman Addleson was recognizable on campus as a small man whose smile bore the marks of a cleft lip that he had surgically corrected so he could enlist. 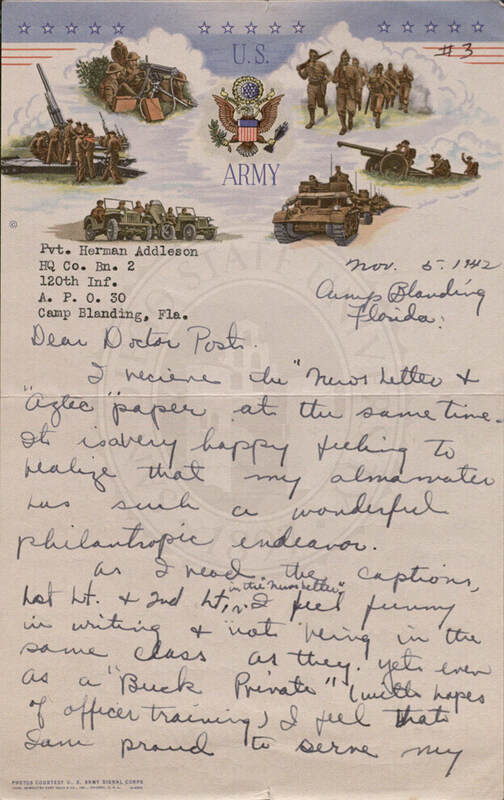 He called himself, “Little Geronimo,” and he loved being a paratrooper. Yes, Sir!, We are now on the boat, destination unknown. You’ve heard how tough the paratroops are. How rugged in physical endeavor, but what you don’t know is how these same men felt as we boarded the ship & left the soil of U.S.A.
Tough guys had tears in their eyes, many stood gazing open-mouth, many a heart was in one’s mouth, with a feeling of emptiness in one’s pit of the stomach. The Statue of Liberty was beautiful & as she disappeared, Long Island came into view, then Brooklyn, & what memories & laughs we all had. Then as some giant hand pushing us way out, land seemed far off, New York skyline seemed to diminish. When that disappeared & possibilities of seeing land of U.S. was gone, we just leaned back & silence was a bliss as we all thought of what we left behind & what we are fighting for. That’s about it Doc. Just thought I’d drop my thoughts. This boat is so compacted a sardine has more room than we do. Please excuse the writing as I’m doing it under very hazardous conditions. […] Hope to meet you guys again. I received the issue of the Aztec News Letter with a mixture of feelings – some reminiscent, some a longing for the good old days at State. Unfortunately, during my college life, I had to work 8 hours a day as well as attend school and I didn’t have a chance to enter into the campus life and campus friendships as much as I really desired. However, there was one little fellow we all knew, Herman Addleson who was killed on D-day, and this fellow was my friend. I can remember lying on the grass discussing our ideals and hopes, and so I believe I can qualify to say to all our fellow Staters that the price of this victory is written in memories of men like that – not just flesh and blood, but the dreams and aspirations of men who will live forever in our memories. May their memories and ideals reflect in the way we live and in our accomplishments.